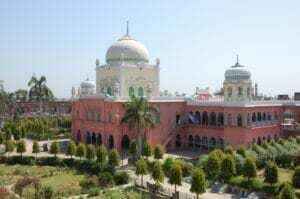 Religious scholars from the prestigious Darul Uloom Deoband seminary said the divorce stands even though it was only a joke and the couple wants to remain married. The couple must wait six months until they can remarry. According to Islamic scholars, before they can remarry, the wife must marry another man, consummate the marriage, and then divorce him before she could be allowed to remarry her first husband. Were all Muhammad’s marriages the best examples? In my opinion (according to Koran and Hadith ) if a person prounces talak 3 times whether serious or in joke the talak comes into effect immediately. The woman has to complete her Iddat period , then marries another man and if he divorces then she could marry her first husband.